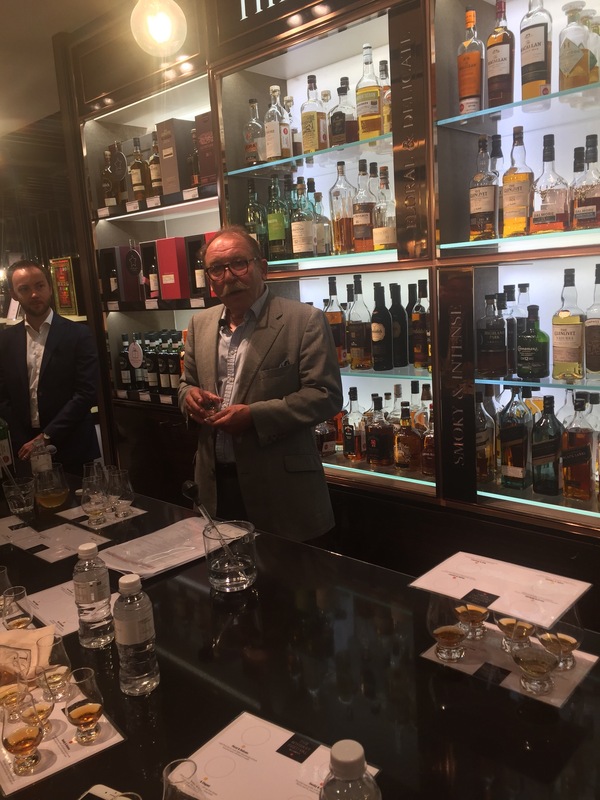 My darling Cheryl (Thebakerwhocooks) received a press invite to the Singapore Duty Free Store (DFS) at Changi Airport to be part of a whisky appreciation afternoon with whisky’s finest guru Charles MacLean. 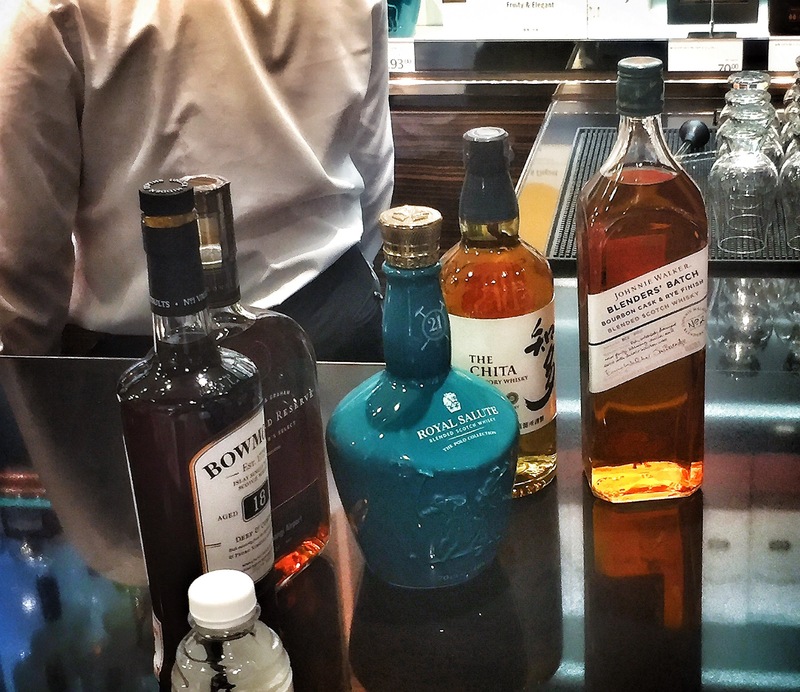 DFS is hosting a six week whiskey festival at Singapore Changi Airport. The event was inaugurated at DFS Singapore in 2016. 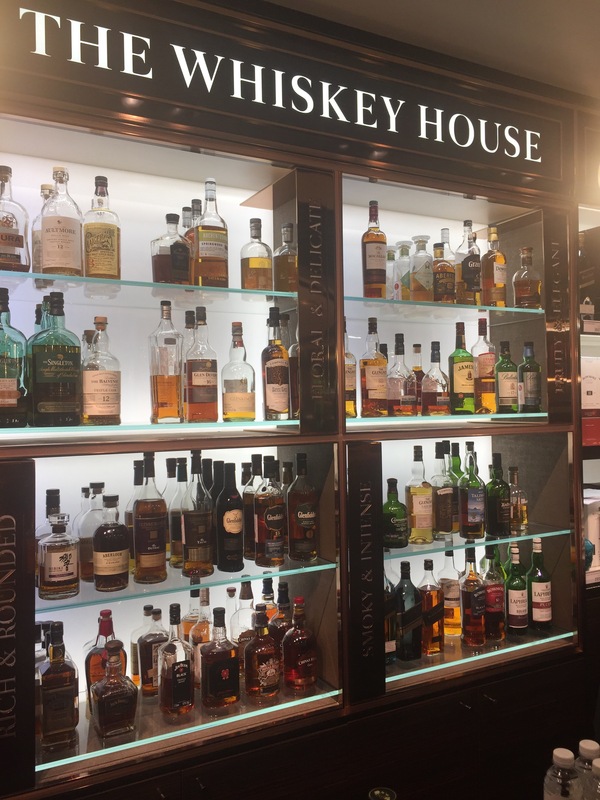 This year the whiskey festival will kick off in Singapore on 27 May and travel worldwide to eight DFS locations across Asia, the Middle East and North America. Enough of the gratuitous copy and paste from the press release document; let’s get down to business. Cheryl is a a terrible drinker; she has the drinking fortitude of an African elephant after gorging on its third Amarula tree. As such, she never drinks. I on the other hand love a drink and have a deep passion for fine whisky ,at any time I have three to four different whiskeys on hand at home( in case of an emergency, real or imagined – many times I have convinced myself to buy one more bottle of whisky just in case this is the weekend of impending zombie apocalypse) now Although it was a massive burden, I grudgingly accepted to attend and offer my opinion on Cheryls behalf. After receiving the official press briefing I subsequently read up on Charles MacLean’s credentials. I had envisioned a stuffy, old school, die-hard, cask strength only, two drops of water or you will ruin it whiskey man. Within minutes of listening to Charles I was surprised By how open and welcoming he was to beginners and connoisseur of whiskey alike . When asked about adding soda to whiskey (considered a mortal sin in some circles ) he told us that if you wanted to do that, as Santory did when they famously reinvented the Highball in Japan or even if you wanted to add coke or green tea – there is no right way to drink whiskey for enjoyment and even the glass ware is not important, it doesn’t matter how you enjoy just so long as you enjoy it . His advice on tasting whisky for appreciation however was no ice, a few drops of water and in a glass that narrows towards the rim (as it offers the best release of the aroma). The afternoon was attended by several press and local bloggers who whirled around like an angry pack of bees snapping away with their cameras to capture that perfect shot. Being quite tall I was continuously caught in the photographic cross fire as people held cameras above my head to get good shots of Charles while he mystically unraveled each of the drams on offer through a series of blind tastings. After the 20th blogger took a shot over my head, I finally understood how annoying the job of a movie star’s body guard must be when faced with the hum of the paparazzi. I was only there for the whiskeys so please excuse my lacklustre photography skills. I was too engrossed in the headiness and dulcate tones of the Islay peated whisky to give a damn. Charles was humourous and entertaining and spent some time sharing wonderful anecdotes as he led us on our tour of the whiskeys on hand. 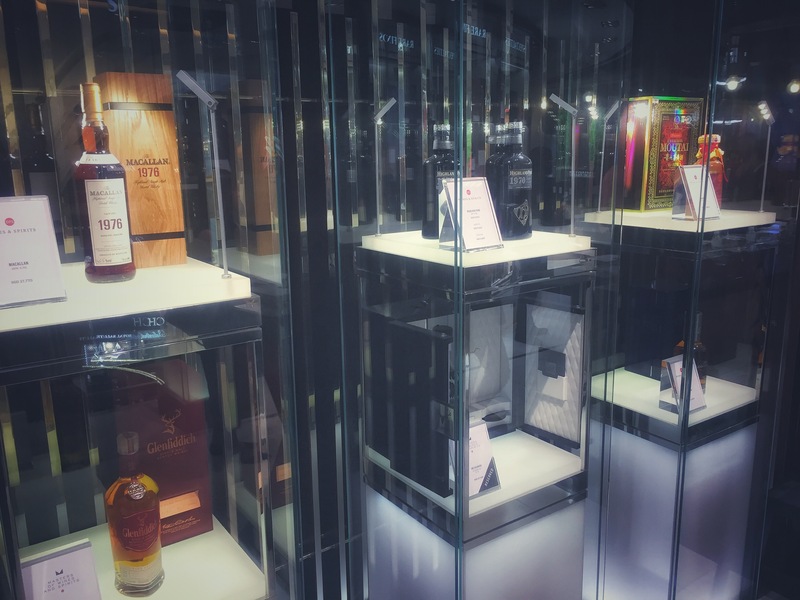 The tour followed the DFS Whiskey profile tool which helps customers navigate the world of whiskey by breaking them down into easily recognisable sub-genres: Floral and Delicate, Fruity and Elegant, Smoked and Intense, Rich and Rounded. 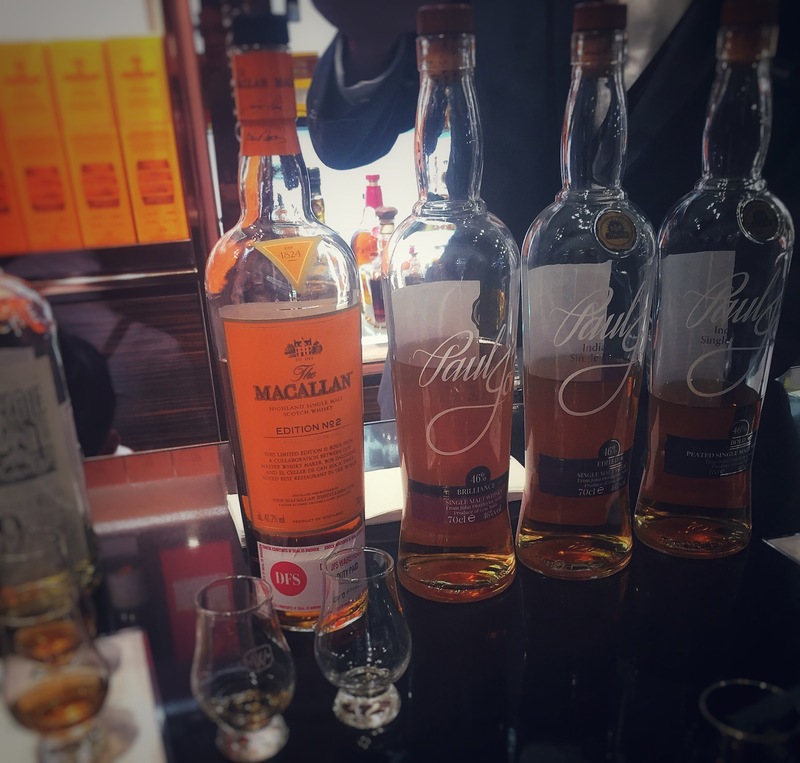 Whisky is a very personal experience and while I appreciate the simplicity of the system as an introduction, it did not fully sync with my own personal tasting references. 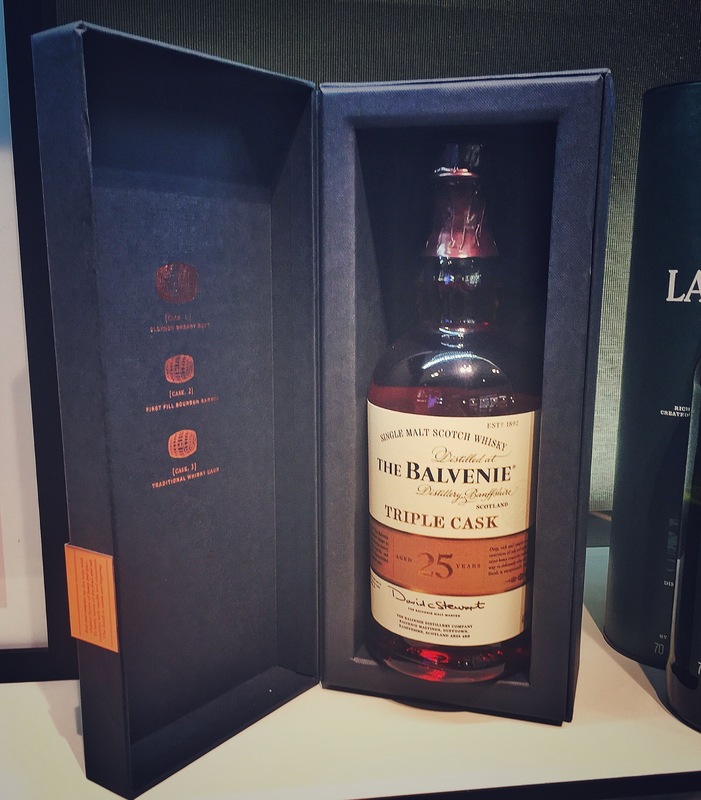 However, that is the beauty of whisky – everyone experiences it for themselves on their own terms. On offer was 5 whiskies for the sampling , which you can see in the above shot. 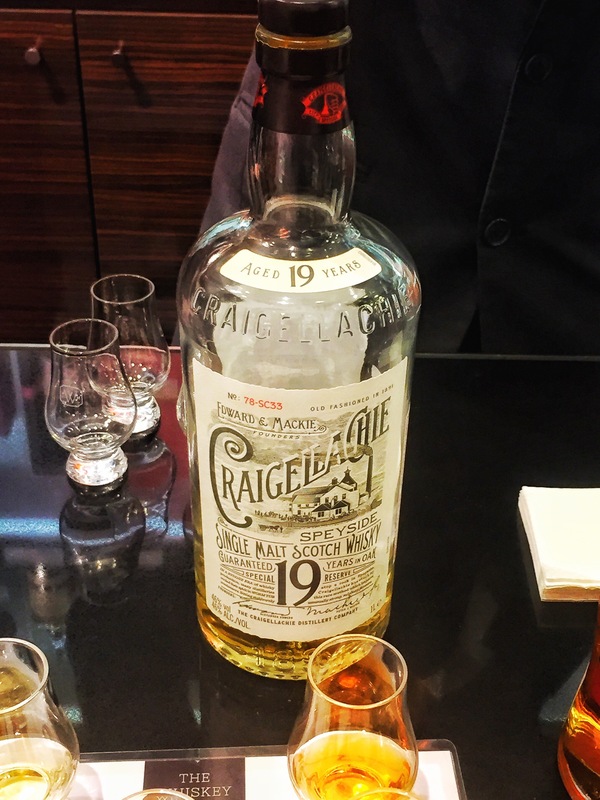 During our tasting with Charles we were not privy to the whiskeys on offer and had a chance to play a game of blend or single malt , Scottish or other . “The Scottish will say that they don’t mind how people get into whisky as the sheer variety of whisky Scotland has to offer will eventually lead them to Scotch whisky… personally I think that’s complacent,” Charles reminisced as we sampled what was later shown to be a Japanese Chichibu Peated 2016 Edition, a whiskey I found to be meticulously clean and elegant.it was shared with us that only 120 bottles will be available in Changi ,which will be one of the rare airports in the world to offer consumers the chance to purchase this item. 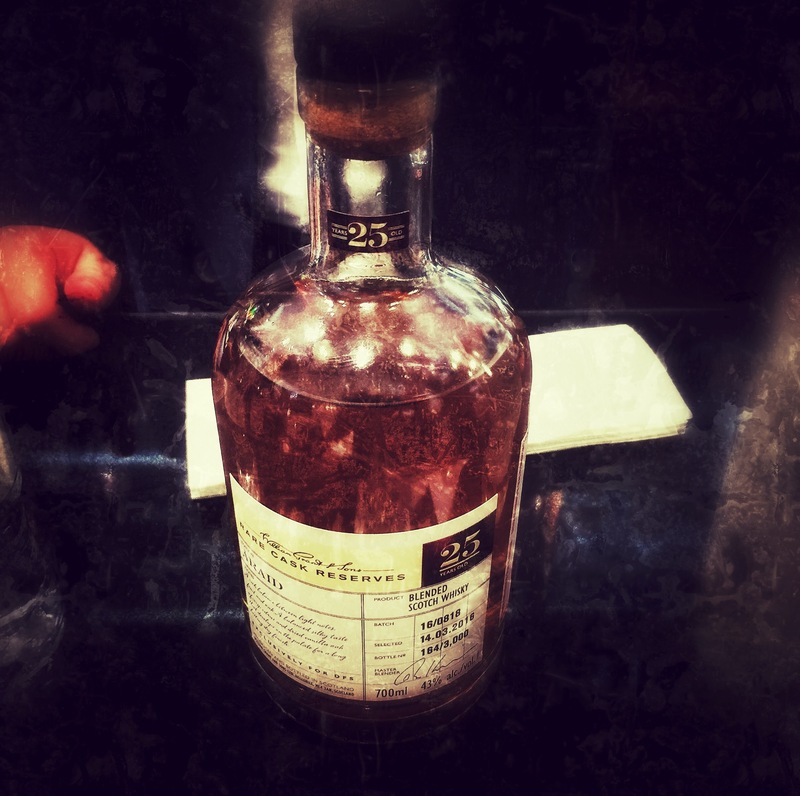 Our second offering was a Johnnie Walker Bourbon Cask and Rye Finish (Experiment No. 2 the bottle declared) Personally I found it a little confusing , a blended Scotch with a hint of Kentucky whiskey due to the rye finish. In retrospect, this whiskey would make a great Old Fashioned cocktail. My day dreams were suddenly awashed with the tantalising chance to gamble on a 1983 Johnny Walker Black at an auction that perhaps had a Port Ellen 32 year-old single malt swirling within. Reality came crashing down against the shores of my dreams as I remembered the curse of Oak Island – just because someone says there is treasure doesn’t mean there’s any treasure left to find. I appreciated Charles’ honesty as he tasted the Royal Salute 2017 (21-year-old), “oh that’s a little diappointing”. The mouth feel and finish seemed to not have sat well with him. My past experiences at tastings, presenters will unequivocally purport the virtues of the brand(s) they are paid to talk about but not Charles, it seems. This is a man with buckets of Whisky integrity. A later comment Charles made rung true to this whisky “The Scottish have a saying – there are no bad whiskys, only good whisky and better whisky”, Much to the dismay of the DFS staff I think he thought it was only a good whisky. I have sampled a Royal Salute 21-year-old before and could attest that the character was somewhat lacking from previous iterations. As this is a NAS whisky (No Age Statement) One of the press had asked a question about his opinion of NAS. Charles’ reply can be distilled into “its fine as long as its not abused”, he did have a side note that as more and more people are looking for exclusives and the whiskey loch is almost drunk dry, it can lead to some questionable ages of whiskey being used in exclusives. He reminded us that an expensive exclusive whisky is not always a better whisky. Thankfully this NAS exclusive was very enjoyable. Our tasting culminated in an unmistakable smokiness of a Bowmore 18-year-old, which is characteristically Islay. In December Cheryl, Ciaran and I plan to go home to Belfast to visit my Father . Perhaps a quick jaunt over to Islay might be on the cards and if I play my cards right, perhaps a week in Scotland touring the distilleries .With DFS having +- 100 whiskies to sample out of their range of 300 i will definitely be using my 7 bottles of spirits allowance when returning to Ireland , i think I’m gonna get to the airport 3 hours early and take the chance to discover some new whiskys that may not have even been on my radar previously- just maybe they have a previously unknown (to me) Islay – wish me luck. BTW.. 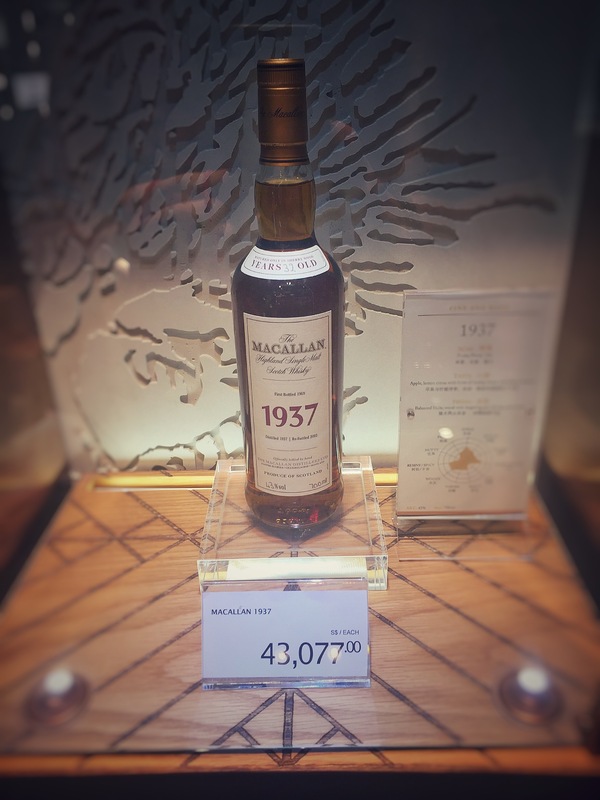 Yes that does say $43,077.00 for a 1937 bottle of The Macallan. Next Post Singapore Wild Sourdough – making time for yourself.